Let’s be real for a second – there’s nothing in this world that a girl is more fiercely protective of than her hair. You probably spend ages agonizing over whether you even want to cut it. And once the decision is made, you spend another insane amount of time looking for the perfect salon and stylist to give you the haircut of your dreams. Well, we know how tiresome it can be to scrounge the internet and ask everyone you know for reviews of their favorite stylists. So we’re here to help you skip a step! Compiled below is a list of the top 10 hair salons in Pune for you to peruse at leisure. And we’re sure you’ll find your perfect fit here. If you’re someone who’s into the aesthetics of a place as much as the services they offer, Mink is the perfect salon for you. Mink is a pretty little salon tucked away in Koregaon Park founded by Shailesh Mistry, a highly experienced hairstylist. Besides recommending great haircuts and styles to compliment your face and hair type, the stylists here also offer expert consultation on the best products to use and hair care routine to follow. So you believe your hair deserves nothing but the best, huh? Then Maria’s Salon is the place for you to be. Maria, Suzanne, and Ruffina – the main hair stylists here – have been trained at premier institutes like Toni & Guy (Singapore) and Vidal Sassoon (UK) to provide you with top quality hair styling services. Maria’s is especially known for its excellent blowdrys, hair color facilities, and hot oil head massages. Address: Row House 6, Kingsport Homes, Next to Chang’s Restaurant, Dutta Mandir Chowk, Viman Nagar, Pune. From opening their first outlet in London in 1963, to now having over 440 salons worldwide, Toni & Guy has truly come a long way. Considering the franchise is a sponsor for the London Fashion Week, rest assured that the hair stylists here are highly skilled and trained professionals. This place is exceptionally known for its haircuts, as well as its state-of-the-art hair spa. Address: Shop 10, 1st Floor, The Hub, Next to Kaya Skin Clinic, Above Mad Over Donuts, Lane 6, North Main Road, Koregaon Park, Pune. Be it a corporate hotshot, a blushing bride or a shy teen just about to enter college – there’s something for everyone at the Lakme Salon. Not only do the hair stylists here use state-of-the-art technology and are meticulously trained in their vocation, but also have backstage experience from working at Lakme Fashion Week, which gives them an edge over other salons and stylists. 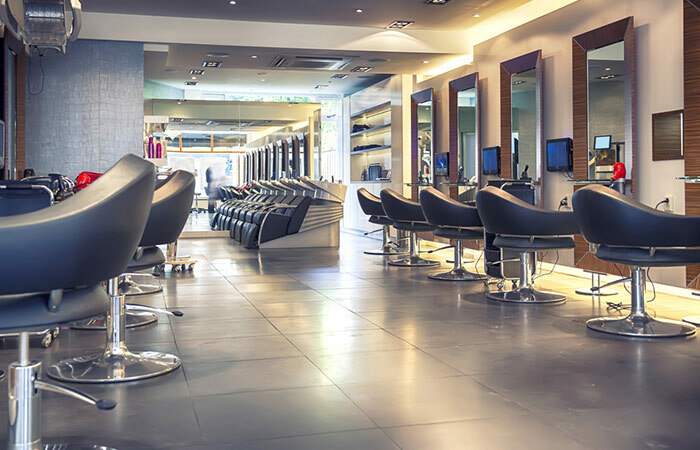 You are sure to walk out looking like a runway model after getting your hair done here. Address: Ground Floor, East Block, Amanora Town Centre, Hadapsar, Pune. When it comes to having a passion for hair styling, no one can beat The Bombay Hair Company. Its founders, Rohit and Anushka, left their corporate jobs to fulfill their dream of opening their own hair salon – and the rest is history. At the core of their hair styling is Anushka’s philosophy of “Giving the client what they really want, not doing what you can and selling it as what they want… that’s when you’re doing a good job. If my clients want to experience a change, I’d like to instill that change gradually and not drastically. I believe in making hair easy for my clients and help them carry it off in the most comfortable way.” Now, doesn’t that sound like someone who will take the best care of your hair? Address: A1, Precious Gem, Lane 6, Koregaon Park, Pune – 411001. With its minimalistic decor, cozy ambiance, and friendly staff, The Little Hair Salon is the kind of place that will you make you feel at ease the moment you step in. The aim of every hair stylist at The Little Hair Salon is to not only enhance your physical appearance but also to provide mental relaxation through their professional services. Walk in here if you want to unwind after a long day of work with a nice hair pampering session. Address: Row House 2, Gera Terraces 1, Ahead of HDFC Bank, Dutta Mandir Chowk, Viman Nagar, Pune. When it comes to big chain hair salons in India, Enrich is a name you can trust completely. Started in 1997, Enrich has grown in leaps and bounds over the last two decades to become the largest company owned and operated unisex salon chain in India. The hair stylists here have been trained at the academy run by Enrich itself and they work with full dedication and passion to give the customer exactly the look that they are going for. Address: Shop G 6B, Ground Level, Phoenix Market City, Viman Nagar, Pune. At Juice, hair dressing is not just a skill – it’s an art. With outlets in all the major metros across India, Juice is one of the trendiest and fastest growing salon chains in the country. 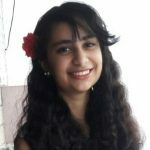 If you looking for the best hairstylist in Pune, then here it is. This is because you won’t catch a stylist here doing the same cut and color on two different customers. Because at Juice, they follow a strict philosophy of tailoring each style according to your unique features and hair type. Address: Ground Floor, Shradha Apartment, Opposite Gate 5, Abhimanshree Society, Off Aundh-Baner Road, Pashan, Pune. If there is one hair stylist who has taken the country by storm and inundated it with his salons in all major cities, it has got to be Jawed Habib. With 484 outlets in 92 cities, Jawed Habib is a name you cannot ignore. Each stylist here is trained in a uniquely scientific approach to cutting and styling hair that sets them a class apart. Address: First Floor, Opposite Khan Saab Restaurant, Seasons Mall, Magarpatta, Pune. So, what are you waiting for? Head on out to one these top hair salons in Pune and boost your confidence by getting the hairstyle of your dreams! Pune won’t know what hit them when you step out looking like a bombshell with your new haircut!